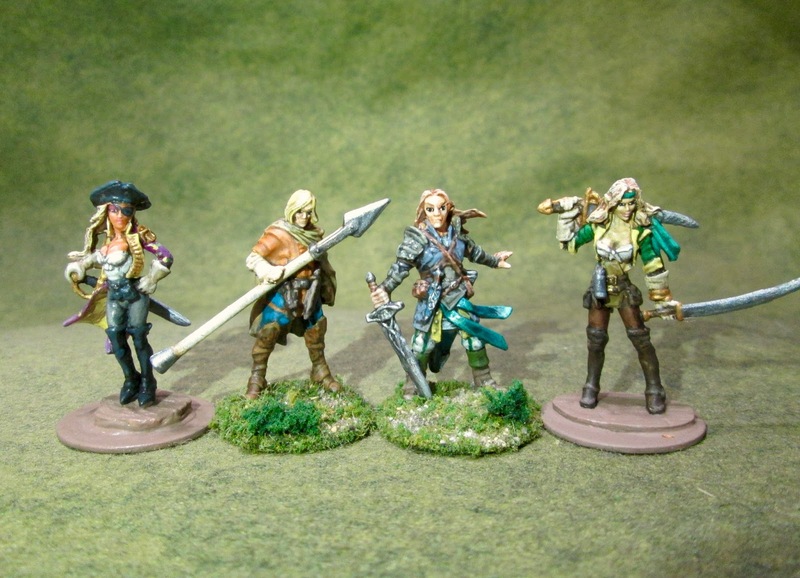 My New Crew for Our 2018 Ghost Archipelago Campaign | H.A.W.K.S. 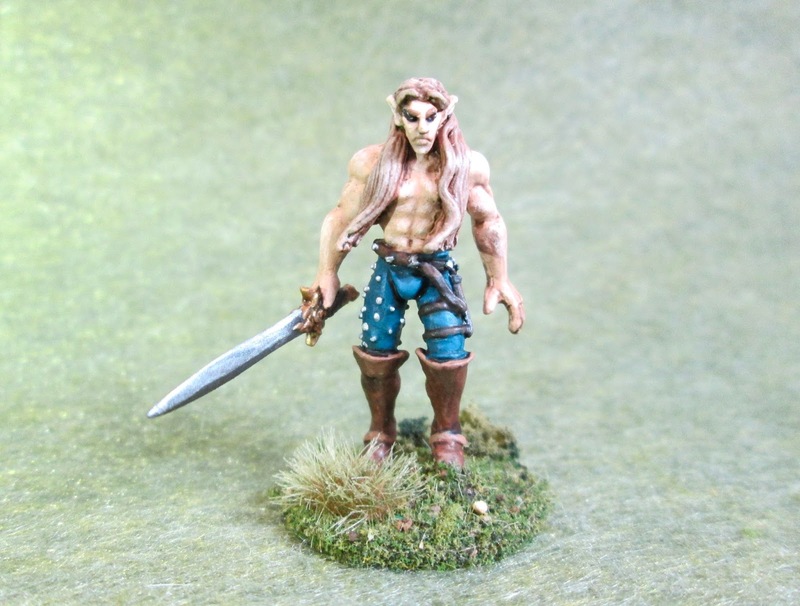 Chris Palmer These past few weeks I’ve been busy assembling my crew for this year’s Ghost Archipelago campaign. The first game is Saturday! 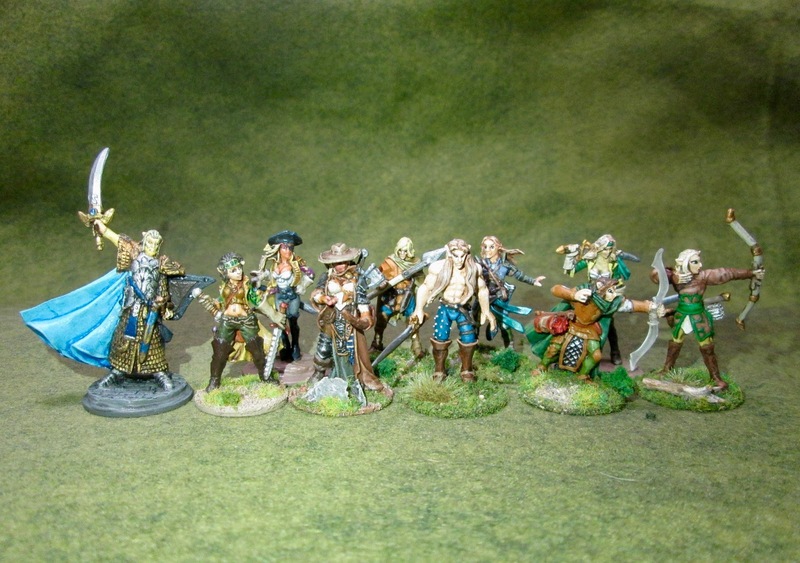 I decided to go with an Elf crew for this first warband. Heritor: Lord Hytieral Fortrywn– Retired from a lengthy military career to enjoy his wealth and his laurels. Powerful. Landholder. Doesn’t tolerate fools. Not happy that his younger step-sister has out-maneuvered him into taking her daughter, his niece, along with him to act as his Warden. She says it will be good for the girl to have experience in the world; he finds the young magic-user barely tolerable, and the fact she isn’t a true wizard is an embarrassment. So I think the Daze is going to be interesting as the main ability. Apparently this guy is so formidable looking as he twirls his sword around acrobatically, that enemies just kind of freeze up when they see him. The other abilities I think fall in nicely with someone who was a professional soldier. Warden: Marnilyne Dewdrisane– Young. Impetuous. Curious. Argumentative. Naïve. In awe of her uncle, and a little scared of him; but also terribly excited to be a part of the adventure ahead. I chose Water of Life as my out-of-school spell, after the test game we played revealed that being able to patch up your Heritor during the game would be a big asset in this early phase of the campaign. Hunter: Gwynwater Lighteye– Elf. At the peak of her abilities. 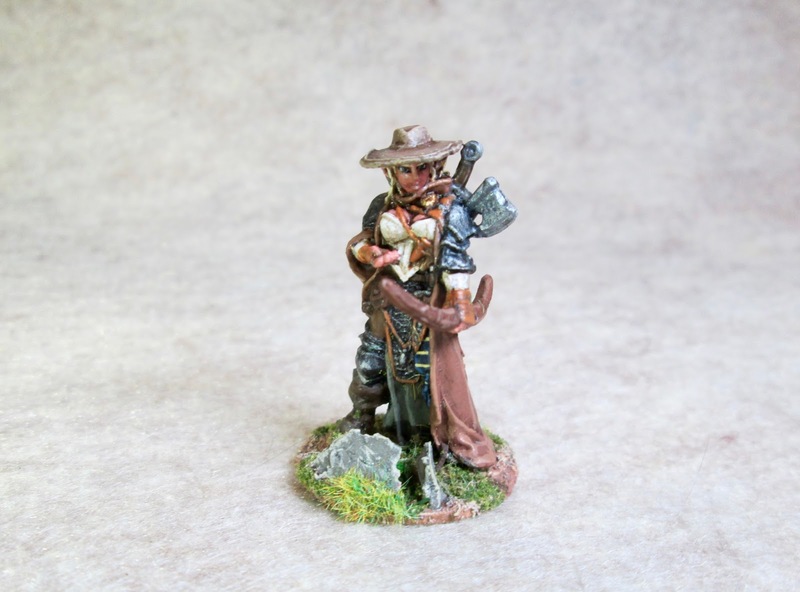 Served as a Captain of Archers under Lord Fortrywn for many years; now she manages the game on his main estate. Competent and Loyal. Prefers the out of doors and the company of animals to that of others of her kind. An introvert that is often mistaken for arrogant. She dreads the thought of weeks at sea, but eagerly awaits the chance to match her skills against beasts she has only heard about in legends. Pearl Diver: Salin– Elf. From the Southern Island Kingdoms. Found by Lord Fortrywn’s ship on their voyage south; half dead after he spent weeks adrift at sea, alone in a small wooden canoe. Apparently, the simple pearl hunter was the only survivor of a small island village wiped out in a raid. His wife and children presumed dead or taken, he vows vengance. 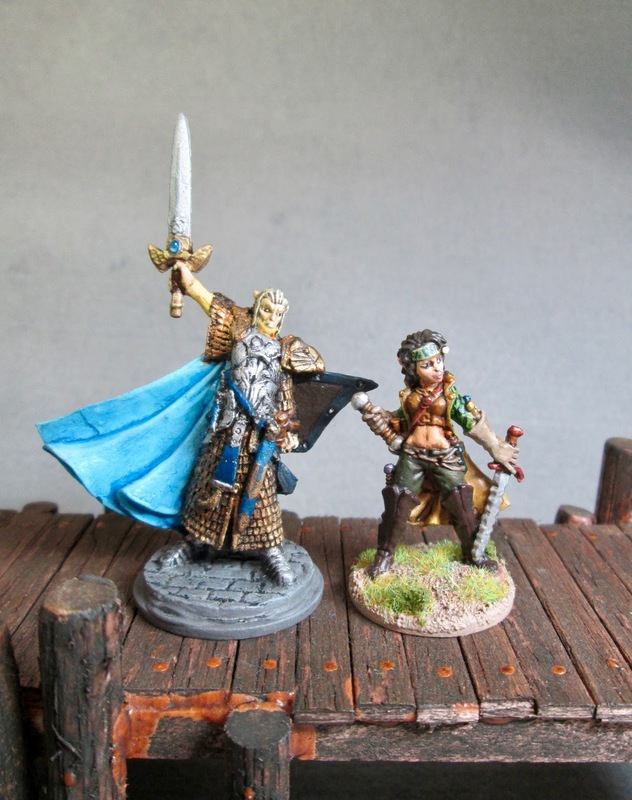 The Southern Elf agrees to sign on for the journey as payment for saving his life, and with the understanding that he will receive expert training in combat. Lord Fortrywn can see no weakling could survive the harsh seas here alone for weeks without some skill in the water and an extreme will to live. And someone with swimming skills, who won’t give up easily, might be useful to the Lord’s purpose in the Archipelago. 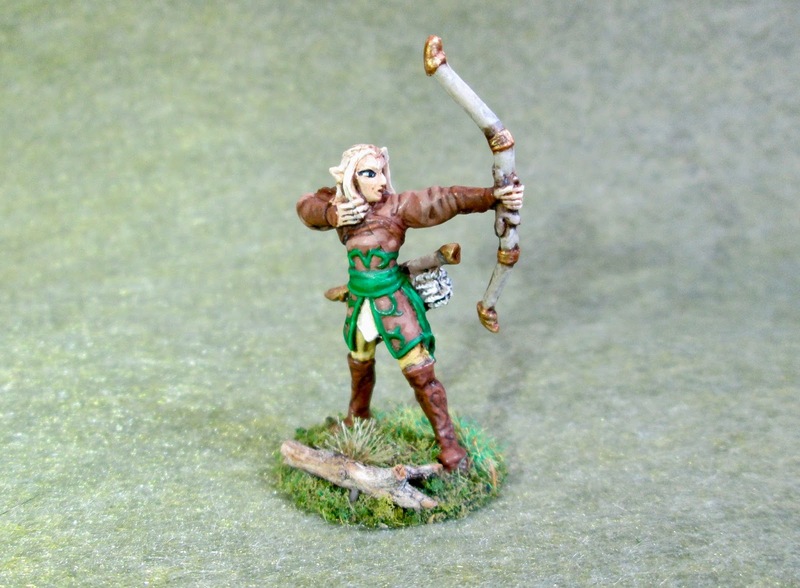 Archer: Randilas Windway- Elf. 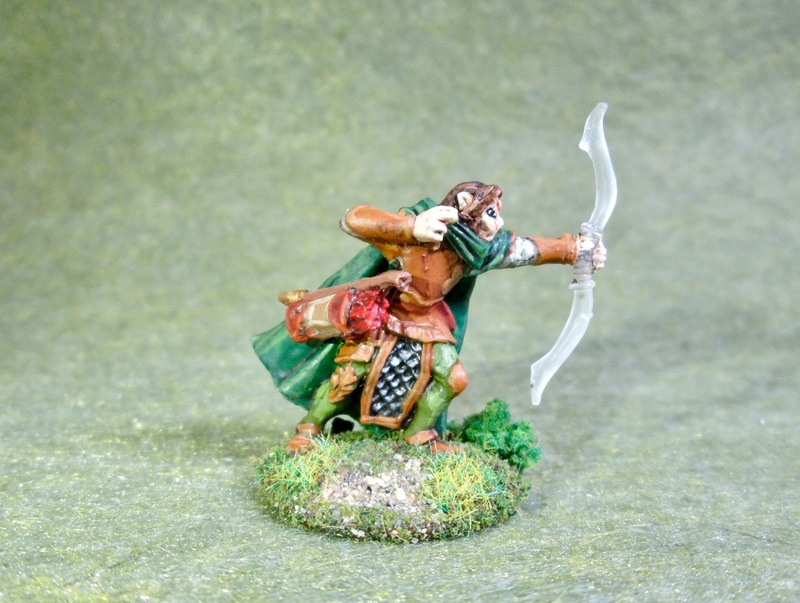 First on the short list of Archers that Gwynwater Lighteye sent for when Lord Fortrywn requested two to join his quest to the Archipelago. Once a member of Lighteye’s Company, the young archer had always been a disciplinary problem, but Captain Lighteye had always known he was the most skilled among the troop. Since the company disbanded, he has roamed from one mercenary band to another, never lasting long. Restless. Egotistical. He looks forward to the great adventure ahead and the chance to once again serve with the Captain, for whom he always carried a small flame. Archer: Quinlere Silvervine- Elf. Another expert Archer that Gwynwater sent for when Lord Fortwyn instructed her to hire two archers for the expedition. He is vain and arrogant; often aggravating other because he actually has the talent to back it up. Knows others have trouble getting along with him, and considers it part of the burden someone of his abilities must bear. However, he’s a good soldier, level headed, follows orders, and can be counted on when the going gets hard. Standard Crewmen: Here are the four Standard Crewmen that are part of my crew: Arbyn, Vilkse, Lurlin, and Bry. And here’s the whole crew together. Ready to set sail aboard The Silver Sword to high adventure on Saturday. Stay tuned!